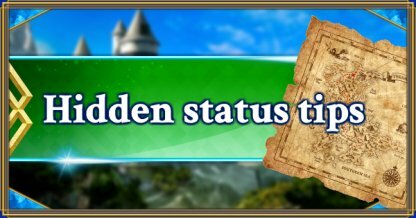 We have posted the hidden status for FGO(Fate/Grand Order) . Please feel free to use it as a reference to look up things like class corrections, Attr, Alignment or characteristics. 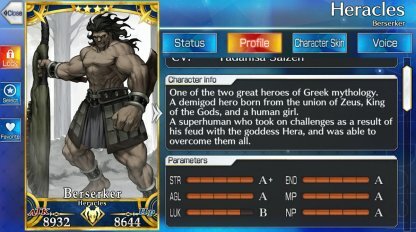 Hidden statuses are the those other than the HP and ATK that have been set to Servant. There are various statuses such as ones that can be confirmed through the profile within the game or even the ones that are not apparently indicated. Class corrections that represent the characteristics of each class, or Attr are some of the factors that directly affect your damage. It may be a good idea for you to understand in the depth the system or compatibility of above mentioned since it can place you in an advantageous position in the battle. Class corrections are hidden characteristics for each class. For example, berserkers have class correction of getting 10% more damage, getting relatively higher average damage than the other classes. Whereas it is harder for casters or assassins to build up their damage since it is corrected for 10% less. Three factors to which class corrections apply are “ATK”, “Star Drop Rate”, and “Star Gather Rate” . The Star Drop Rate affects the amount of star obtained per 1hit, and the Gather Rate measures the degree of how much your card can draw in a star. Attr is a hidden compatibility of servants. The existence of it has been clearly stated within the game, however it is not indicated anywhere on the status. Upperhand can deal 10% more damage to lower hand and 10% less for the way around. Stars and Beasts are there as exceptions, although number of the servants that apply isn’t that many. These two types are paired up as a couple so the damage dealt and the damage being dealt to each other are both increased by about 10%. 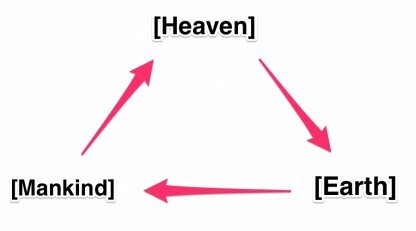 Alignment is determined by the combination of servant’s “Policy of Respect” and “Personality”. Servant’s “Policy of Respect” refers to his or her attitude and moral toward society, and the personality refers to who the person is and how he or she thinks. “Policy of Respect” constitutes of three domains; “Lawful”, “Neutral”, and “Chaotic”. It is often the case that servants that have discpline are social, and ones with chaos are anti-social in their thoughts. Personality may be either “Good”, “Balanced” or “Evil”. Servants with “Good” personality often have their own rules whereas ones with “Evil” personality do whatever it takes to accomplish their goals. Some Master Missions may require you to “Kill the servant with Good attribute”, so it would be easier to accomplish the goal if you can remember of the attributes. Also in some events, there could be restrictive quests where only the assigned attributes may be organized. Characteristics indicate the property of opponent’s enemies or servants. For example, skeletons that often make their appearance in the early phase have characteristic of [Undead], and wyverns have characteristic of [Dragon]. These are the points that affect reinforcement effect or special attack by skills such as “Double damage agaisnt dragons”, or “Grants increased attack to only the allies with [Divine]. It would be helpful to know these stuff when it comes to utilizing certain servants. Parameters evaluate the ability of servants themselves as well as performance of NPs. They are basically measured in 5 degrees from A~E and EX may be indicated in case of an exceptional. Some may have “+” or “-“ although being at the same degree of evaluation. Statuses may vary depending on the parameters, however they are not totally or unconditionally dependent on the parameters only. Considering them merely as a flavor text for you to enjoy the game is good enough.